How can I set up my Profile Page? Your Profile Page is your perfect digital business card. 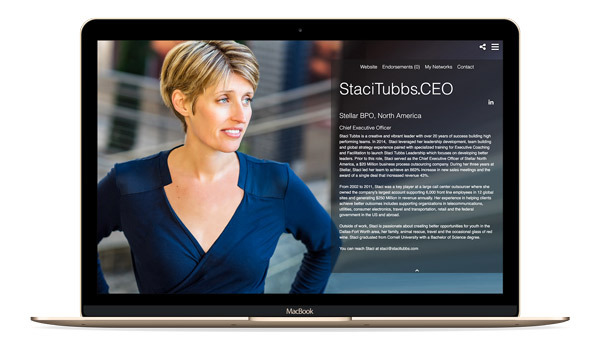 You can customise your Profile Page to feature a high-resolution portrait or photo, include links to your corporate profile or LinkedIn page, and showcase your work, articles, and websites. Start at ControlPanel.CEO and log in by clicking on the three horizontal bars in the top, right-hand corner. You can also choose to have one of our VIP Support Team members create a custom page for you. Just make sure to include your name, your photo, and your .CEO domain in your email. Click on “Edit Details” for the domain you’d like to set your Profile Page up on. Remember: You can choose to set your Profile Page up on a subdomain, like YourDomainName.CEO/Profile. This is a great option for people who would like to use their .CEO domain to host a website. Select or upload your full-screen Profile picture. We recommend images sizes of 1920 x 1080px or higher with the main focus on the left hand side. You can read more about selecting your Profile Picture here. You may wish to feature a video on your Profile Page. 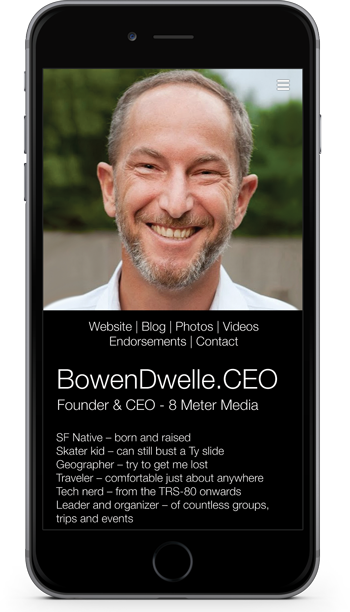 Discover how to set a video to play on your .CEO Profile Page here. Fll out your Profile Information. Any fields that you leave blank won't display on your Profile Page, so make sure to include everything you would like to feature on your Profile Page. Visit Identity.CEO and click on "Set up a Profile Page"
Click on "Don't have an account? Register here"
You’re done! Your new Profile Page should be publicly visible within an hour, but it sometimes takes up to 24 hours for your page to propagate. If you run into any issues, don’t hesitate to reach out to the .CEO VIP Support team. We’re always happy to help.